Bitcoin dropped again and stands right above the 3500 psychological level. The perspective remains bearish despite the minor increase. I’ve said in the previous week that it should drop further at least till the 2980.4 static support. The next days could be crucial for the Bitcoin and for the crypto market, a further drop will crash the market and many projects will die. If you’ll read my previous reports you will notice that I’ve talked also about a potential upside movement if the rate will respect my scenario. Bitcoin is trading in the red and seems determined to approach the 3277.6 previous low. It remains to see how aggressive will be this drop because the rate has failed to approach and reach the 4000 psychological level again. Price has failed to reach and retest the downside 50% Fibonacci line of the descending pitchfork and has tried to jump higher, but the buyers weren’t strong enough to send the rate higher. 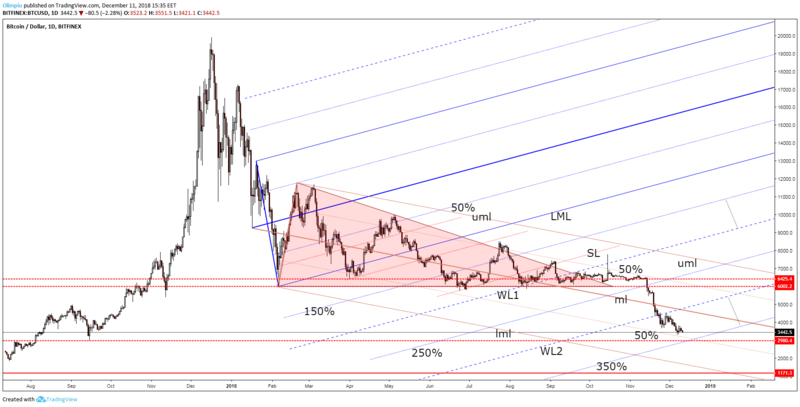 Personally, I’m still expecting the rate to reach the 50% line, the 2980 level and the 350% Fibonacci line of the former ascending pitchfork. It remains to see how it will react because a false breakdown will signal a potential upside movement, but a valid breakdown will open the door for more drops towards the 2000 psychological level and towards the lower median line (lml) of the descending pitchfork. 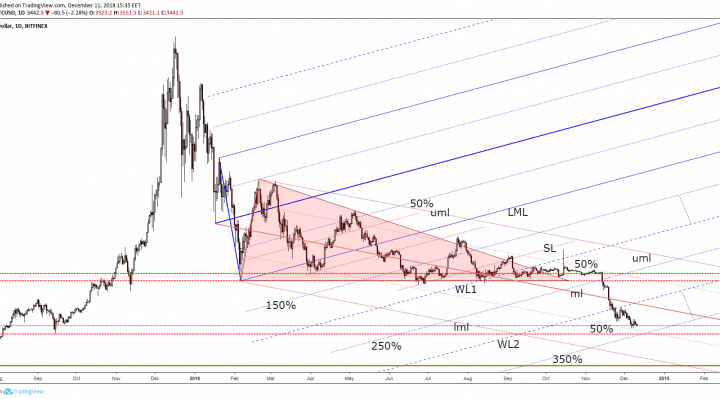 However, a failure to reach the 50% line it will announce a bullish movement on the Daily chart. Right now you should stay away and wait for a fresh trading signal.